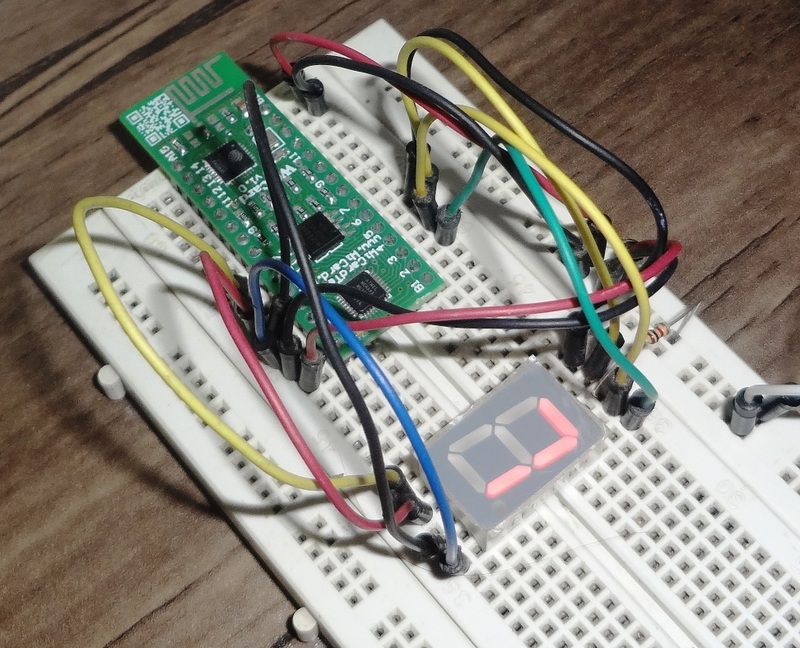 There’s a 32 bit timer counter in WiCard WiFi module. The timer calls its handler function whenever its counter reaches to 0. The unit of the timer counter is micro second (uS). This feature in the current revision is limited. So the real time unit is 1000 uS. That means the counter value will plus 1000 every 1 mS. Also the minimum time must be set at least 500000 uS (0.5 S). We will decrease the limitation in the future revisions of the firmware. This function starts counting down uiTime value. After it reaches to zero, the system will call the handler function. When the counter reaches to zero, to enabling the timer counter again, you must call this function with its argument again. This is the timer handler function. When the counter reaches to zero, the system will execute the source code inside of the TimerIntHandler() function. You must define this function only once. 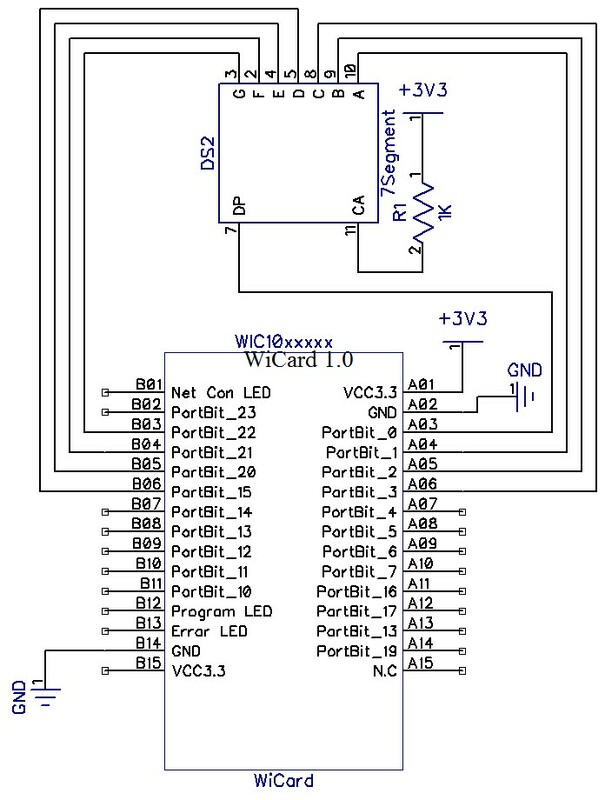 The following schematic is a circuit with a 7 segment and a WiCard WiFi module. The 7 segment starts counting from 0 to 9 after toggling start/stop button.